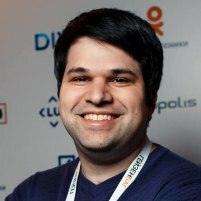 Dan Cuellar is the creator of the open source mobile automation framework Appium, and an experienced software engineering and quality assurance manager. Previously, he headed the test organisation at Shazam in London and Zoosk in San Francisco, and worked as a software engineer on Microsoft Outlook for Mac, and other products in the Microsoft Office suite. He is an advocate of open source technologies and technical software testing. He earned a Bachelor’s degree in Computer Science, with a minor in Music Technology, from the world-renowned School of Computer Science at Carnegie Mellon University in Pittsburgh. Dan was selected to speak at Selenium Conference 2012 in London about an entirely different topic. As part of his presentation, he showed off iOS Automation using Selenium syntax to demonstrate writing platform-agnostic tests that use separate platform-specific page objects with a common interface. To his surprise, the cool test architecture would take a backseat to the spectacle of iOS tests running like WebDriver tests. Several people suggested that he give a lightning talk later in the conference to explain exactly how it worked. On the second day of the conference, Dan stepped up on stage to give the lightning talk. Jason Huggins, co-creator of Selenium, moderated the lightning talks. Dan experienced technical difficulties getting his presentation to load, and Jason nearly had to move on to the next lightning talk. At the last moment, the screen turned on and Dan jumped into his presentation. He explained the details of his implementation and how it worked, begged for contributors, and in five minutes it was over. The crowd applauded politely, and he left the stage. If we look at how Appium came into existence, lightning talks are a very important part of this journey. Hence at Appium Conf, we would like to dedicate a full session with all attendees on Lightning talk. Dan Cuellar & Naresh Jain would moderate this panel. Over the last few years, Appium has become the choice automation tool for mobile application UI testing. Most people are familiar with the basics of Appium, but did you know that you Appium can identify elements using image recognition? Did you know you it's also possible to automate Windows phone and Desktop apps with Appium? Have you ever seen Appium run the same test on multiple operating systems, or seen an Appium test run using several devices at once? The talk will cover advanced Appium topics such as these along with best practices to ensure you get the most out of Appium.